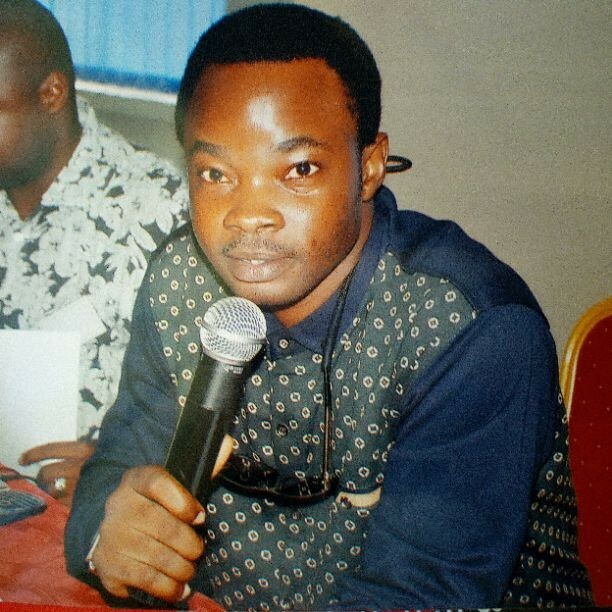 A non-governmental organization, Africa Media Development Foundation (AMDF) has announced Sola Ojo of the Sun Newspapers as its journalist of the month for October, 2017. AMDF is an organization that focuses on training and retraining of media practitioners across Africa as well as rewarding those whose stories have created positive impacts on ordinary persons. Sola Ojo was born some 35 years ago and hails from Odo-Otin Local Government Area of Osun State, Southwest Nigeria. According to information shared on the organization’s website on Tuesday, “he’s a holder of Higher National Diploma in Mass Communication from prestigious Osun State Polytechnic, Iree, Osun State in 2010. He participated in campus politics where he defeated four other contestants to emerge the Financial Secretary, Faculty of Information and Communication Technology of the institution. “He was deployed to Kaduna State for his one year mandatory service to motherland and subsequently posted to New Nigerian Newspapers Limited after the 21-day orientation course at Black Gold permanent orientation camp, kilometers 16, Kaduna-Abuja highway Kaduna for his primary assignment in November 2011. He served as President, Editorial Board of NYSC Kaduna within that period. “His professional qualifications include Chattered Nigeria Institute of Management and Nigeria Institute of Diplomacy and Management. “He recently added Post Graduate Diploma in Conflict, Peace and Strategic Studies from Kaduna State University, Kaduna, Northwest Nigeria to his credentials. “After the completion of his one year mandatory service with New Nigerian Newspapers in October 2012, the company retained him due to his doggedness and keen interest in his calling, journalism, from where he cut his tooth in developmental journalism. “Due to challenges facing the company that led to its inability to produce in 2013, Creativity, as fondly called by friends moved to Blueprint newspaper to gather additional experience where he was a contributor from Kaduna Bureau. While in Blueprint, he was opportune to work under experienced pen pushers including Mallam Ibraheem Musa who is now Editor, Blueprint Weekend, Bureau Chief, Blueprint Newspaper Kaduna office, Abdulraheem Aodu, Usman Ibn Lapai and Samuel Aruwan, now Senior Special Assistant (Media and Publicity) to Governor Nasir El-Rufai. “As a young and dynamic journalist who was thirsty for exclusive stories and byline, he freelanced for an Abuja-based weekly newspaper called Today’s Impact where he wrote more on education. “He has also written for another Abuja-based weekly newspaper known as Daily Stream as Kaduna correspondent and a Jos-based magazine among others. “At present, he writes for The Sun Newspapers from Kaduna. “He has written several news stories, features, interviews and dedicated reports that have provoked interventions from government, corporate organizations and individuals to the advantage of the public. “He’s motivated by drive to make the voice of the voiceless count by a way of advocacy journalism and aggressive campaign where necessary to draw the attention of policy makers to the important needs of their followers”. The website further quoted the joulists as saying, “of course, the whole thing about journalism is challenging but the most challenging and difficult report I have done was when I had to travel to a Kaduna community for maternal and child health investigations where there was no mobile telecommunications network coverage to even communicate in case of any eventuality”. “Yes, my candid word for my senior and contemporary colleagues is to keep touching lives, putting in our best, be honest, focus and be resolute in a course we believe to be just without necessarily being proud and one day, it will pay off. We may however need to go a bit extra mile to do extra thing that will make us stand out”.